Blocked Drain Melbourne by Melbourne 24 Hour Plumbing is a plumbing service that specialises in the assisting people with blocked drainage. They assist when you have blocked storm water drains. They help when you have a blocked sink drain. They assist to unblock sewer blockages. They will assist you when you need unblocking of your toilet. The great thing about Blocked Drain Melbourne is that you can call them weekdays and during the weekends. They are available 24 hours a day 365 days a year. Blocked Drain Melbourne can use a drain camera Melbourne to inspect your blocked pipes. This is the modern way to find any blocked drain Melbourne problems. Once the camera has determined where the blockage is, only that portion of the pipes will need to be repaired. This avoids digging up large areas of your garden to find the blockage. Blocked Drain Melbourne other services include commercial maintenance, renovations, blocked drains, factory maintenance, tap repairs, installation of hot water systems, property service checks to investigate excessive water bill, and insurance plumbing works. All our vehicles are manned by a qualified and certified plumber Melbourne. 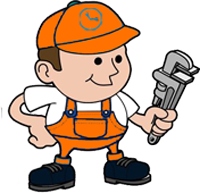 They carry spare parts for a range of plumbing problems so in an emergency be it day or night they can solve your problem. If the problem cannot be fixed immediately our plumbers will make the problem safe and isolate it so as not to interfere with the rest of your plumbing service.